At SuperExterior we’re all about servicing the customer. Whatever the homeowners’ wants, requirements, and budget dictate, we are on the job and ready to work. If you’re interested in vinyl, aluminum, wood, or stucco siding, we can provide with quality service at affordable rates. Innovation is also a key component to our company values. With present times being what they are, it never hurts to stay ahead of the technology factor. 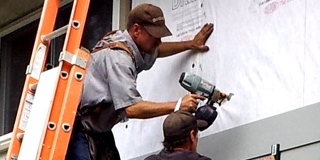 And one of the most important ways to do that is with research and development into new possible siding materials. Jake Webb founded the company back in 1981. After gaining enough potential investors the old fashioned way, Mr. Webb began getting to work. These were the days before the internet, which meant a lot of hand shaking and meeting new potential customers face to face. But having done so in roughly the same manner as attracting potentially interested investors, Jake Webb was no stranger to the practice. 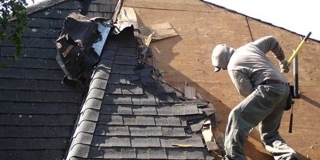 He bootstrapped his way up to a company which was doing mostly cedar shake and shingles. Everything changed when Vinyl came along. Even though vinyl siding had been around since the 1950’s, the modern technology allowed it to be created faster, sturdier, and cheaper than nearly all the competition. Slowly increasing in popularity in the 70’s, Jake Webb had hardly used the material. Almost on a whim in 1982 he decided to try out outfitting vinyl to homes. So the company was carrying that in troves. Suddenly, there was a gigantic boom in the industry, and the people were in dire demand for vinyl siding. Mr. Webb came out on top. Nowadays, Jake Webb has laid the bricks to the successful foundation that is SuperExterior. 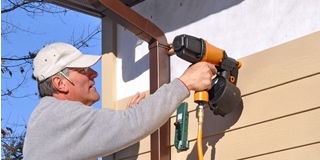 And the company is installing the siding that is the success to homeowners local to your area. 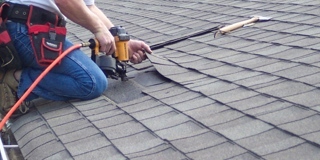 You won’t have to worry about a thing while we’re on the job, which brings us to our company customer guarantee. Here at SuperExterior, we want to get you the best quality materials and the most affordable rates, installed by the most professional crew you’ve ever had the pleasure of meeting. We use almost exclusively the top calibur materials available in the industry today. There’s no faster way to add tremendous value to your home, which enhances curb appeal to potential buyers. Not only will this make your neighbors jealous, but the type of materials we use also fortify your home, improving durability threefold. Some materials even come in seamless options, the pinnacle of modern siding looks. Because we’re so confident in our work, we get the best warranty available to all of our customers.